Palace demitasse cup and saucer set. Cup, 2.25"Dia. x 2.5"T; saucer, 5.25"Dia. 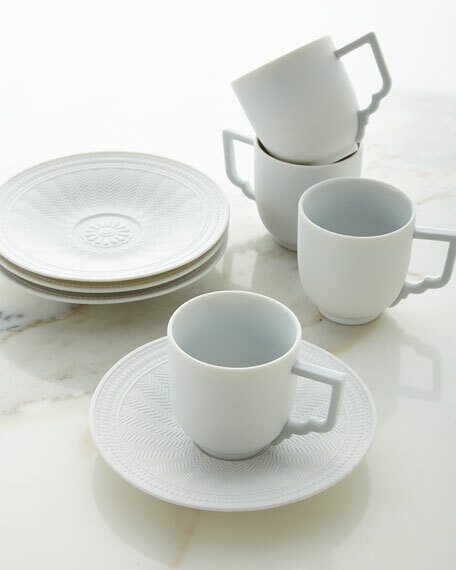 Set includes 4 each of sculpted-handle demitasse cups and intricately patterned saucers. For in-store inquiries, use sku #2136530.